Melissa started with HIA in March of 2019. She was born and raised in Nampa. She Is married with 3 sons and 2 granddaughters. Over the last decade as a previous business owner there has never been a task too big or too small. 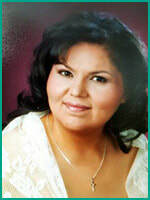 She brings extensive experience in customer service, human resources, bookkeeping, payroll, and tax prep. She is Bilingual in English / Spanish and is a Notary Public. ​She is ambitious, outgoing individual who seeks extensive adventures in everything! Working toward achievement. She is open – arms to opportunities that will broaden her horizon. A team player willing to lead or follow, eager to learn, self-motivated, enthusiastic and personable. Her passion is to contribute, support and make a difference.